I owe a Honda City 1.5 S MT, the mid-range variant of popular sedan that gives a hassle-free driving experience and reliability of Honda. Though priced much below some other fantastic sedans of Honda like the Honda Civic, City still gives the premium feel of it. Its “Power & Tilt Steering” is exactly similar to the one used in Civic. It has a 1.5L i-VTEC 1497cc engine that gives maximum power of 118 PS @ 6600 rpm and in city an average mileage of 13-14kmpl. Actually, I am a big fan of Honda Civic but when I purchased my City S MT, my budget was restricted. Honda City was thus the obvious choice for me and I am pretty happy even after driving it for over 2 years now. Amidst and when compared to other sedans like Hyundai Verna and Corolla, it also emerges as the best bet. It looks contemporary and has a fabulous road presence. In fact, it is also a very safe sedan. The special safety features of the car like G-CON is great. I love my car though I know that it has its flaws. It does not have fog lamps and AC rear vents. Its running cost is high and it requires nice handling for delivering the desired performance. It is not really a tough car that can withstand the rash driving and stuff like that. But on the whole, Honda City has a different kind of charm that is irresistible. It’s a boon for me. 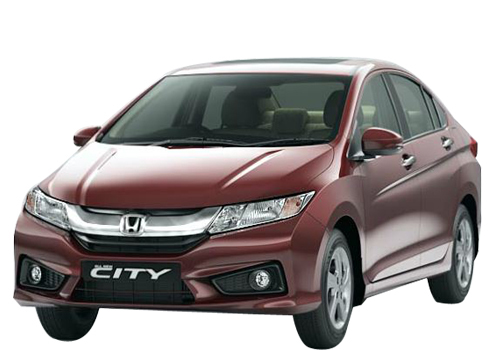 Honda City is equipped with excellent features and specification. Honda City is My first car i am pleased and i agree car has a good interior design. Exterior of Honda City is very stylish,interior features are good and mileage is decent.